"India along with BRICS countries today voted in support of a UN Human Rights Council resolution to launch a probe into Israel's offensive on Gaza. India joined Brazil, Russia, China and South Africa to vote for a Palestinian-drafted resolution on "Ensuring Respect for international law in The Occupied Palestinian Territories, including East Jersusalem". In the 46-member council, 29 countries voted in support of the resolution while 17 nations abstained. The US was the only nation to vote against the resolution. In an effort to show what it is like for Israel to constantly be in the line of fire by such entities as the UN it has become necessary to clarify some myths. The first myth is that Israel is an occupier. This link has been provided for the sake of those wishing to learn more about this conflict from a Jewish source rather than a Muslim source which currently floods the internet. It is encouraged for everyone to open their minds and their hearts to the side who has no need to use propaganda or dishonesty to deliver truth for the world to see and hear. The fact is that Arabs are the occupiers on Jewish land . The Jews have maintained a consistent presence in Israel for over four thousand years. Our Current Calendar dates are calulated to the present year 5774! Palestinians were given sovereignty of the disputed areas of Judea and Samaria known to Palestinians as the West Bank and Gaza. Israel only entered these territories to protect Israeli citizens from constant harassment by Terrorists of Hamas and other terrorist organizations working to destroy the Jewish People. Israel withdrew entirely from these territories at certain points in history until hostilities continued to effect Israeli neighborhoods putting Israeli civilians at risk. 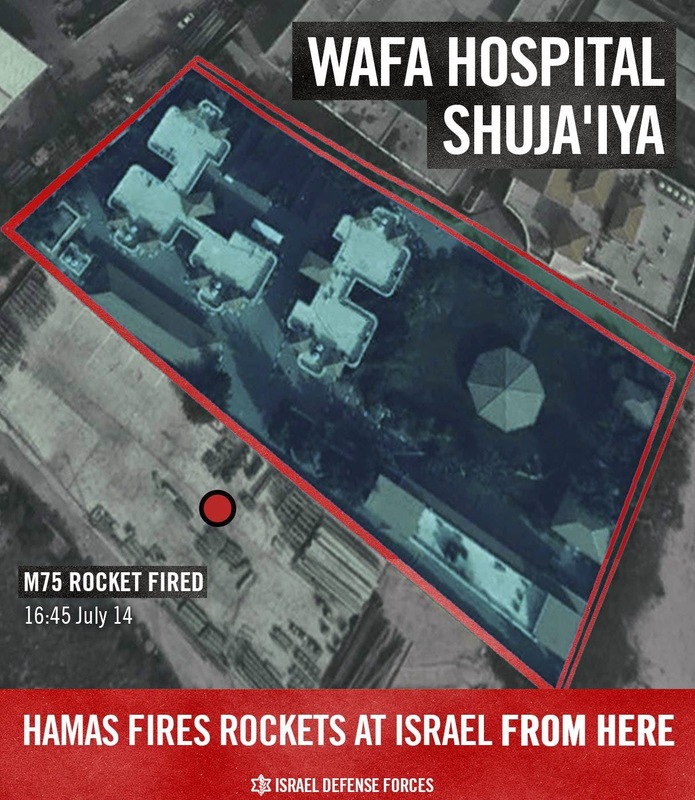 Hamas continues to fire at our forces from Wafa Hospital in Gaza. Its terrorists have turned the hospital into a command center and a rocket-launching site. For this reason, we are targeting specific sites and terrorists within the hospital grounds. We repeatedly conveyed warnings to the hospital staff and urged civilians to leave the area in advance. Hamas is telling them to stay. The second myth is that Israel kills innocent men , women and children. The fact is that terrorist organizations like HAMAS use their own women and children as human shields to surround their rocket launching pads which fire missiles from schools, mosques, churches and hospitals from Gaza into Israeli civilian targets. the IAF and IDF warn civilians to evacuate all territories in several ways by leaflets, phone calls and door to door before any operation commences. Palestinian choices to put their own civilians at risk does not negate the fact that they are committing double war crimes by doing this! Israelis treat victims on both sides that suffer as a result of this conflict on the ground in field hospitals which Palestinians open fire upon with mission to destroy them. This video shows how are rocket fired into Israel caused a wedding to be disrupted as guests ran for their shelters in the midst of a falling rocket! Sometimes the Iron Dome misses a few. It does not intercept every rocket but it is very effective in protecting highly populated Israeli neighborhoods. The Third Myth is that Israel is committing an offensive in the disputed region known to Palestinians as Gaza. The fact is that it is written in the PLO Charter that all Israelis and Jews must be killed or driven into the sea. It is well known that Israel has made several attempts to acquire peace from the Palestinians. HAMAS leaders make no secret about what must be done to the Jews. Israel has attempted to come to the table in multiple efforts in the interest of peace. HAMAS broke two cease fires and continued to launch numerous rockets into Israel rockets into Israel. There are many examples of how Israelis live despite being in the Line of Fire. here are some examples that come directly from Israelis living in the line of fire. Remember Gilad, Naftali and Eyal? 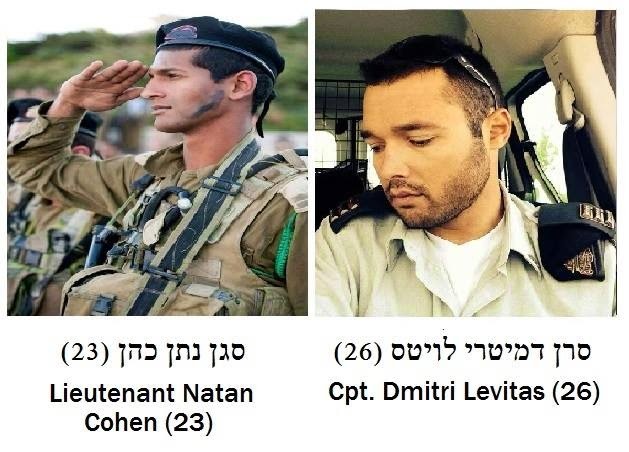 These three boys were abducted by HAMAS and brutally murdered in cold blood. Here is their story in the link below. And please take a moment to view the reaction of Israelis when the bodies were found. The Entire Jewish world both in Israel and in the Diaspora mourned the loss of these innocent children! This is just an overview of the many victims on both sides that have been killed since operation Protective Edge began. Please be very careful when listening to medias that portray Israel as the aggressor in this conflict. There are high chances that you are buying into Muslim propaganda that is designed to intentionally discredit and delegitimize Israel. Please do not fall prey to this kind of blatant disregard for truth. It is not in the best interests of the world peace efforts that are currently in progress to fight against the ideology that has promoted the committing of these crimes throughout the course of history. It is the duty of the International Community to stand for and defend truth rather than support and encourage lies. The common accusation that Israel broke International Laws in its efforts to combat terrorism can be disputed by the following facts. Israel has more than enough evidence to prove that they have broken no international laws with regard to any of of its operations against terrorists. Israel takes extra measures to ensure that this will not occur and every precaution to protect all civilians on both sides. Israel averted airstrikes in Gaza due to the presence of civilians. Israel always has followed international law with regard to every action it takes to protect its citizens.